New Delhi:Transfer of Technology (ToT) & Make in India are important pillars of the Indo-Japanese agreement on the Mumbai-Ahmedabad HSR (High-Speed Train) project. However, these concepts pose as much of a challenge as the projects themselves. Issues like ToT in what areas, to whom and how need to be addressed. To address which areas ToT will occur in, a detailed analysis of the components needs to be undertaken by Indian industries & entities involved. Considering that the high-speed project will be a technological jump for India, a suitable mechanism needs to be firmed up which can absorb the technology and expand the capabilities of Indian industry and human resources. To address issues related to whom Transfer of Technology will involve & how complicated this might be, it is worthwhile to see how other countries have handled similar conditions. China successfully expanded its High-Speed Train network by opening its market to foreign players who created large-scale joint venture with local Chinese enterprise. The govt. encouraged the absorption of technology through state-sponsored companies. It initiated an excellent engineer development programme for promoting HSR education. Lastly, it merged local rolling stock & rail equipment businesses to make them more competitive. 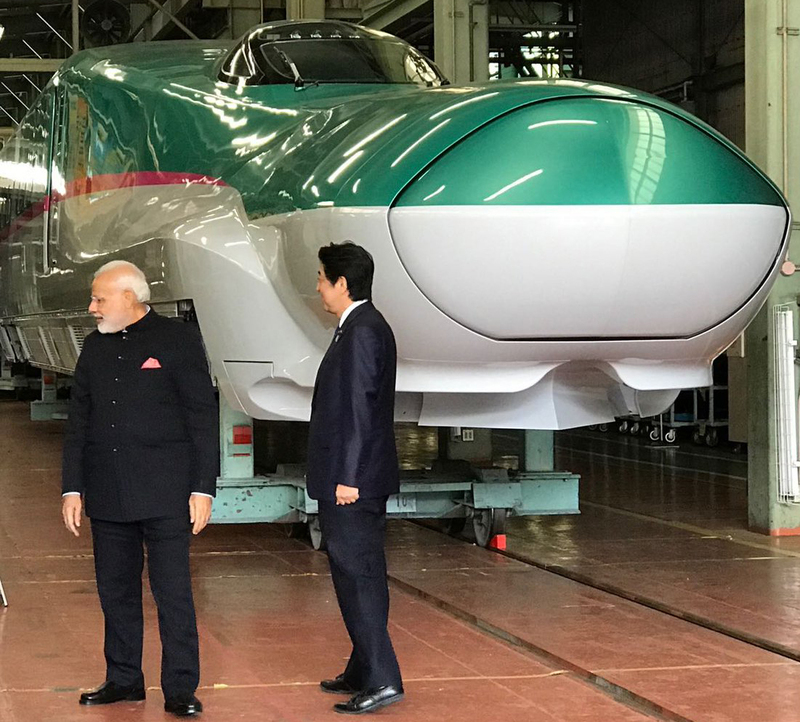 It will be worthwhile for creating a new JV for the initial rolling stock production, between a key Japanese manufacturer and a Government of India entity. A commitment by the govt. to a High-Speed Train rolling stock joint venture will minimise risks for a foreign manufacturer, enable effective technology absorption and enhance the technological capabilities of the Indian Railways. Technology absorption will also require large-scale skill upgradation. As part of the high-speed train project, a high-speed training centre is already proposed. While the training centre will provide required skills to Indian employees, there is a need for undertaking an engineering development programme in Indian technical institutes. The growth of information technology companies is supported by a number of qualified IT engineers. The High-Speed Train project creates a unique opportunity in India for replicating the success of Maruti, in the rail sector.